Campus Safety. (Kyle Parks / The McDaniel Free Press). 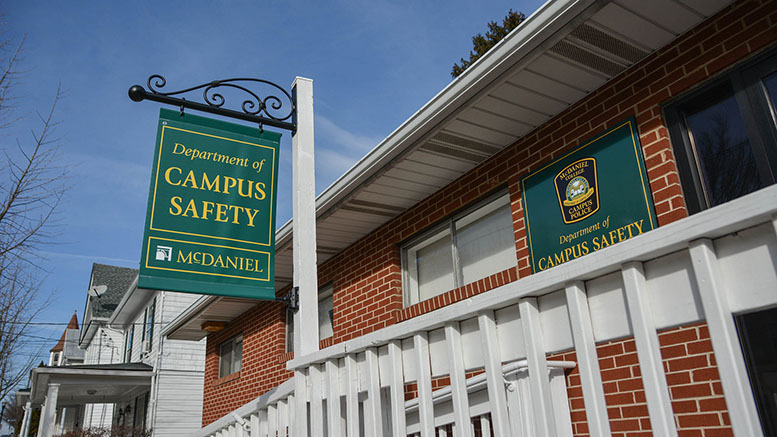 Despite never having to use them, all of the McDaniel campus safety officers carry NARCAN, the life-saving drug used to treat narcotic overdoses, and are trained to use it. McDaniel Campus Security Deputy Chief Adam Reid explains that while he has prepared his officers on how to respond to opioid overdoses, as far as he knows, the narcotics epidemic has yet to reach the campus. 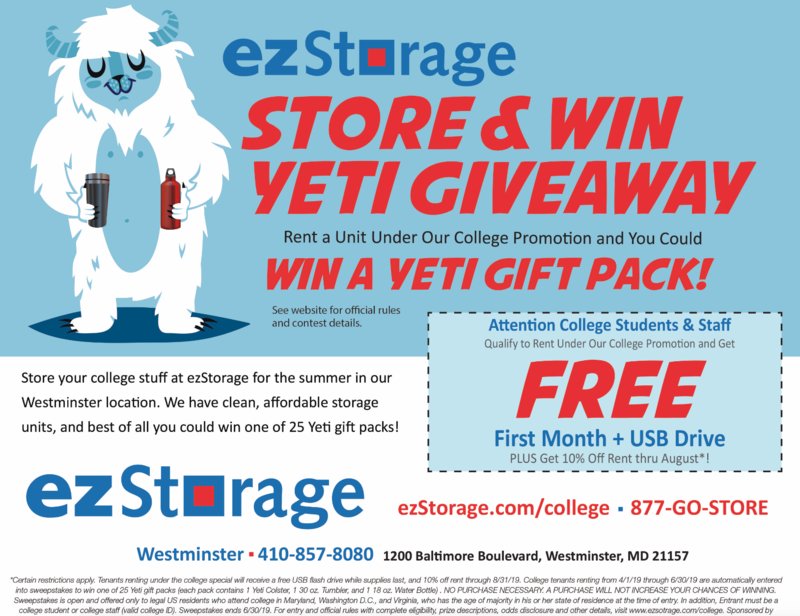 On June 26, 2017, the Maryland Independent College and University Association partnered with NARCAN in an effort to halt the opioid crisis. McDaniel College President Roger Casey, who is chair of the association, was on board with the partnership. The precautions that Casey, the Maryland Independent College and University Association, and the McDaniel Campus Safety Department have taken reflect the actions taken by government officials around the country in response to the rising rates of drug related emergency room visits and deaths in the past decade. According to the Maryland Behavioral Health Association, Carroll County ranked 10 out of Maryland’s 24 counties for the number of heroin related deaths in 2016. Eighty-nine percent of all intoxication deaths in Maryland were opioid related. Although McDaniel has been able to avoid the effects of this nation-wide crisis so far, Maryland and Carroll County have clearly been affected. Maryland Governor Larry Hogan has made this epidemic one of his main focuses. In the past few years, according to his office, Hogan has declared a state of emergency to combat the state-wide crisis, creating the Maryland Heroin and Opioid Emergency Task Force and committing nearly $9 million in funding. He also signed legislation that expanded the state’s good Samaritan Law and Prescription Drug Monitoring Program. On top of this, the Maryland Department of Health and Hygiene announced last year that as of June 1, 2017, naloxone would be available to anyone at a Maryland pharmacy without a prescription, again in a response to the rising rates of opioid related incidents. While commending all of these actions, Reid believes that outreach and education programs implemented by the likes of Brian DeLeonardo, the State’s Attorney for Carroll County, will make the biggest difference in the fight against opioid addiction and overdoses. Reid also said that this early education about the issues associated with drugs is what has helped protect the McDaniel community from this epidemic. In the event of a student needing help with an opioid related issue, Reid said that his priority and the priority of all his officers would be to help steer the student in the right direction.